While I was taking photos of the nest I saw the White Eyed Vireos building yesterday, I came across a pair of Black and White Warblers and got about 55 photos of the pair (not together). I took these photos with a Canon 50D with a EF400 f/5.6 L Lens at about 7:45 this morning. 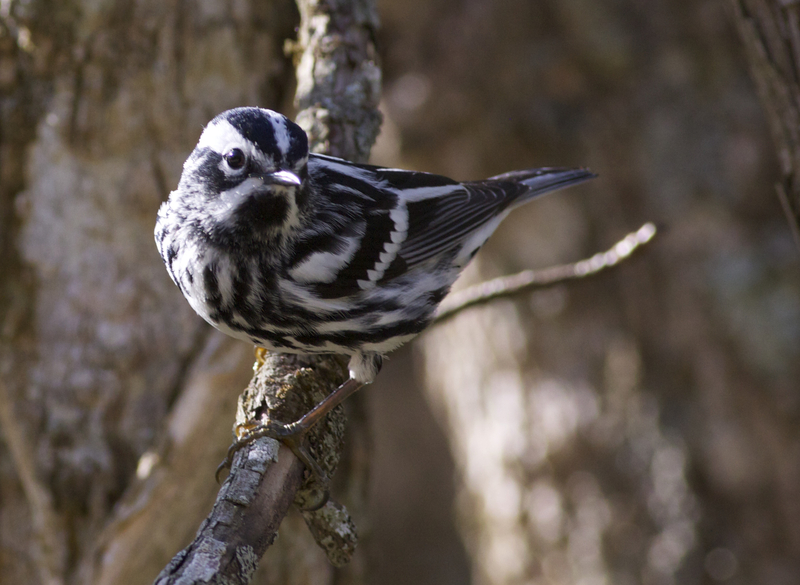 The Black and White Warbler is one of the earliest-arriving migrant warblers, the Black-and-white Warbler’s thin, squeaky song is one of the first signs that spring birding has sprung. 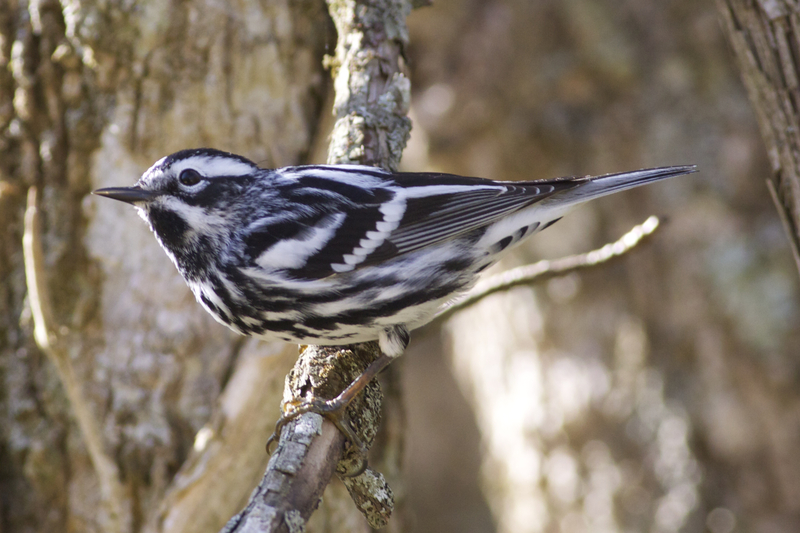 This crisply striped bundle of black and white feathers creeps along tree trunks and branches like a nimble nuthatch, probing the bark for insects with its slightly down-curved bill. 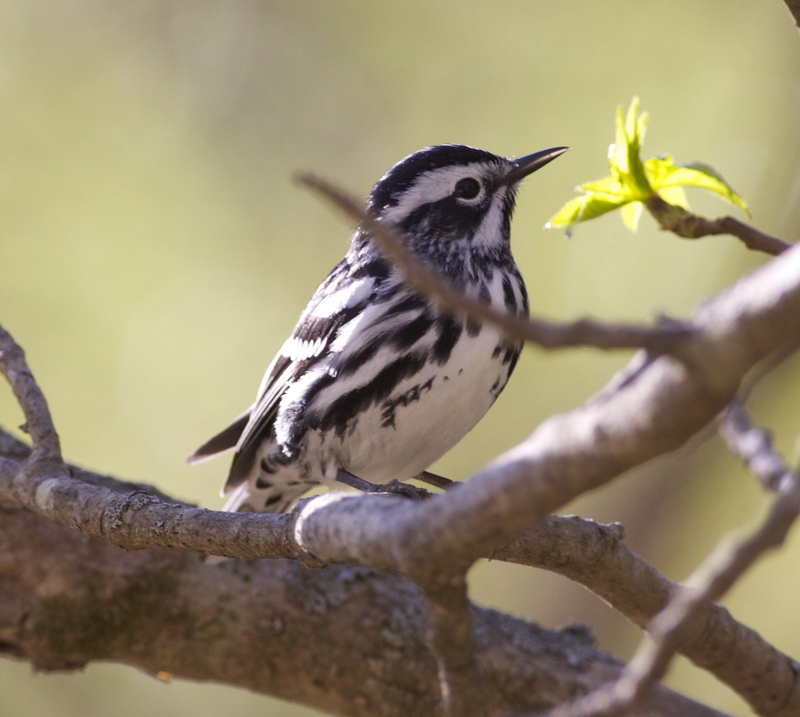 Though you typically see these birds only in trees, they build their little cup-shaped nests in the leaf litter of forests across central and eastern North America.